Barbara Jwanouskos chats up Jonathan Spector, Artistic Director of Just Theatre and a long-time new work advocate in the Bay Area. Barbara Jwanouskos: What’s your connection with the Bay Area? How are you involved in its theater scene? Jonathan Spector: I wear and have worn a lot of hats in the theater scene here – which is one of the things I love about this area, that it allows you to do that. I arrived in the Bay Area thinking of myself very much as a director, and still am, though increasingly my own artistic energies are put towards writing. I’m the co-artistic director of Just Theater, and if I’m actually measuring how I spend my time, the truth is the lion’s share these days is with the artistic directors hat on doing all manner of producing, grant-writing, development, marketing etc. I’m not entirely happy about that, but finding ways to make it work. My company also runs a New Play Lab, which is developing a new play by, among other people, Barbara Jwanouskos. For many years I was on staff at Playwrights Foundation, where I was a Literary Manager and dramaturg producer and general playwright advocate, and while I was there I was able to work with an endless stream of amazing writers, which was tremendously exciting and edifying. JS: The only other area I know well is New York, where I lived for five years before coming here. I grew up in the DC area, and am familiar with that scene, but have never really been a part of it. New York is kind of its own thing in terms of theater – I have the sense making theater in the Bay Area is much more like making theater in DC or Boston or Austin than it is in New York. There’s a whole bunch of complicated reasons why this is the case but the two that I think about the most are 1) that almost everyone I knew who made theater in New York (in the “downtown” theater world) was largely making it for other artists. That’s who they were in conversation with. And then if a show got a good Times review this huge other audience would just kind of materialize out of nowhere (at least this was my impression – I was in my early 20s, so probably missed a lot of what was actually happening). Out here, there’s a much more real and actual sense of having a conversation with an audience. 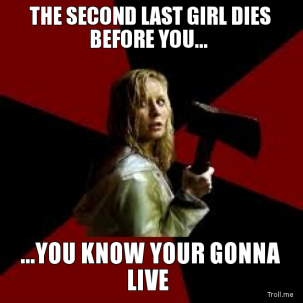 You need to, if you’re going to survive as a theater. I mean the kind of relationship say, Shotgun has with its audience, that’s an amazing and special and real thing and so much more interesting and meaningful than just talking to other artists. This cuts both ways. The richness of conversation amongst the artists, the sense of wanting to make something that all these other people you admire will think is exciting, because of how big and complex that downtown community is, is a large part of why there’s so much exciting work in NYC. But it’s also easy for that to tip into navel-gazing and solipsism if you don’t ever worry about the average non-artist person enjoying or getting anything out of your work. The other big point is about opportunity and pressure. In New York, there was always a sense that maybe this thing would lead to that thing would lead to another. And it’s not a total fantasy – look at HAND TO GOD, which started as a little downtown show then got remounted at MCC and now is going to Broadway. It doesn’t happen often, but it can happen. And this sense of possibility contributes to a feeling that everyone is generally bringing their A-game into rehearsal. And all that other stuff being said, I’m much much happier being here. It’s just a much more livable place and I find deep satisfaction in being part of this community. The last thing to say about the Bay Area is that it’s maybe unique in how spread out it is. I mean, we consider San Jose and Marin and Oakland to all be part of one community and in a sense we all are – we share many of the same artists who put many many miles on their cars. BUT, I’m also increasingly feeling like these communities are pretty separate. I’m embarrassed to admit that beyond the occasional TheatreWorks show, I’ve only seen one other South Bay show the whole time I’ve lived here. I’ll certainly make the trip into the city to see something at Crowded Fire or Z Space or Cutting Ball, but if I’m just going to go to a show on the spur of the moment, I’m much more likely to stay in the East Bay. Which is maybe a long-winded way of saying that there’s a way in which we’re actually a bunch of separate but connected communities, rather than one big one. I mean this whole SF Theater Pub community that you guys have is something that’s totally foreign to me because I just don’t venture into SF all that much. It seems like that’s one scene, and then we have an East Bay scene, and of course there’s lots of back and forth, but they’re not exactly all the same thing. And I think that’s true across a lot of different spectrums. I’m also very curious about how this plays out over the next decade or so as San Francisco becomes completely unaffordable and anyone young and eager and new moves to the area. Babs: How do you stay active as a playwright (or theater artist in general)? JS: I think being able to shift off between things – so when the writing is going really terribly, I can just think about producing, or maybe directing or vice versa. And having regular opportunities to get to work on stuff with other people – readings or workshops are crucial since I can only really work effectively when I have a deadline. 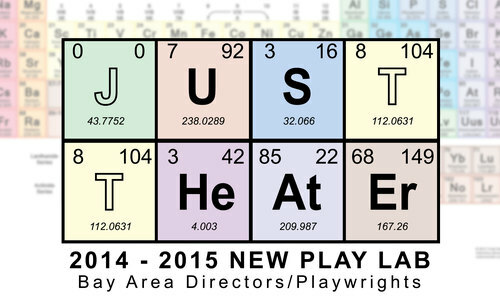 Through Just Theater’s New Play Lab has lots of great deadlines, and I’m also a Resident Playwright at Playwrights Foundation, which has some as well. I submit to lots and lots of things, so some small percentage of those turn in to actual things I get to do, which give me more structure and deadlines. Babs: How do you balance your theater/artistic goals with other life priorities? JS: Not as well as I should. Babs: What are you working on now? JS: At the moment, I’m mostly consumed with producing IN FROM THE COLD, but I have two other plays in various stages. One is called ADULT SWIM and is a kind of magic realism play about teenage lifeguards that takes place at a swimming pool. We did a workshop of it this summer that Jon Tracy directed for PlayGround, and it was a lot of fun. I’d love to find a swimming pool where we could produce it. I’m also working on this piece called FTW, which sort of about female friendship and gentrification, with these three girls who just graduated from college and move into an apartment together and are very enthusiastic and idealistic and horrible. We did a reading of it in the Just Theater Lab, and it’ll have another reading soon. Then there’s the play I’m supposed to be writing for the Lab this year, but have done absolutely no work on since our last meeting. Also I think I’m supposed to write a one-minute play by tomorrow, so I should get on that. Babs: How did IN FROM THE COLD come to be? JS: A couple years ago, I learned that this person who had been maybe the biggest spy in the cold war had lived for many years in secret in these townhouses across the street from my high school in the DC suburbs. He was literally #1 on the KGB hitlist for many years, and there was something very disorienting to me about the combination of this high-stakes life and death stuff overlapping with the kind of ultimate banality of the place I grew up. So that was sort of the jumping off point, and I wrote it over the course of about six months in the Just Theater Lab, and then it had a couple readings, in Aurora’s Global Age Project and at Playwrights Foundation, and then we got a grant for it so we decided to produce with my company. I was a hesitant about us producing it, because it’s not exactly the kind of work that my company typically produces – it’s a little more of a regular play play, but everybody in the company wanted us to do it, so we did. It’s funny – a couple years ago I was having dinner with Thomas Bradshaw and sheepishly confessed that I had started writing plays. And he was like “so you’re gonna produce your work then, right?” And I said in all sincerity that I didn’t know if we would, since this thing I was writing wasn’t necessarily a typical Just Theater show. To which he said, “You’re a liar. You have a theater company. You’re gonna produce your own plays.” So maybe it was inevitable. And then of course there is this strange lag time between writing a play and having it produced. This was only the second full length play I’d written, and I finished the first draft about three years ago. I think my writing has evolved a fair bit since then, so it’s very strange to sit in rehearsal and think, “I would never write something like this now”. But you also have to respect the thing that it is, and try to make the best version of that rather than trying to completely rewrite it to be something more like what you would write at this moment if you were starting from scratch, since that’s just an endless hamster wheel you can never get off of. Babs: What is the best or worst advice you’ve been given as a playwright? JS: One thing that an agent told me once that I think is very true is that theater is it’s a one to one business. That the way you build a career as a playwright isn’t by having a big hit show that everyone loves, but by one person reading your work and liking it and wanting to advocate for you and then another and then another. It’s a series of one on one relationships that develop over time. This is great to remember because it takes a lot of the pressure off any individual show or reading being too important, because even if it’s a disaster, in the long run that’s not what matters. On the other hand, it also means that the thing that does matter – other people liking your writing – is almost completely out of your control. All you can do is write the plays and get them out there. The other thing I think about a lot that I also thing is really true is the notion that writing is basically like exercising – the idea of doing it is horrible, actually doing it is okay, and you feel great once you’ve done it. I find it helpful to remember that for so many of us, including many writers I admire, writing is just this awful, painful, unnatural thing that part of your brain will do anything to avoid. For instance, I sometimes get together with the other PF Resident Playwrights to ostensibly just sit together and write, but I’d say probably 50% of our time is spent talking about how much we procrastinate and avoid writing. There’s solace in remembering you’re not alone in this. JS: Find the work you like, and find ways to hang with the people making it – volunteer, assist, stuff envelopes, whatever. Read lots of plays and see lots of plays. Send your work out. 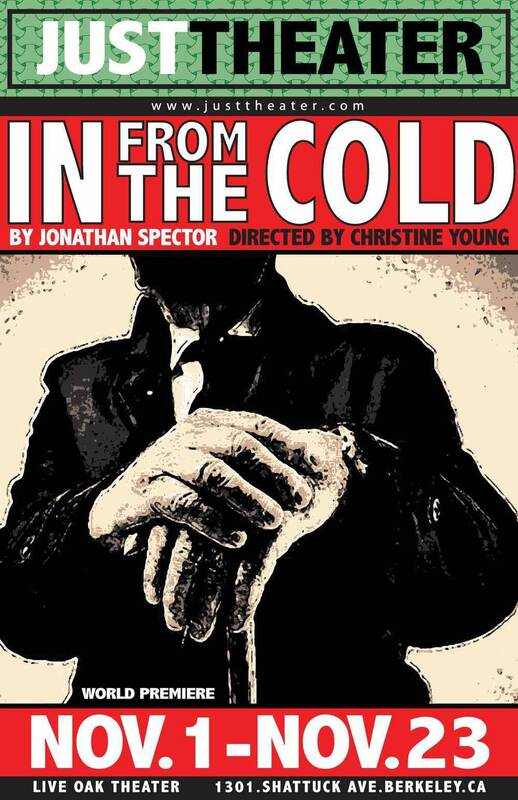 JS: In From The Cold runs through November 23rd at Live Oak Theater in Berkeley. TBA members can get $15 tix. We have a stellar cast. Julian Lopez-Morillas, Harold Pierce, Sarah Moser, Seton Brown and David Saniako. Christine Young directed. Everybody’s doing terrific work. The next Just Theater show comes up right after and is this completely jaw-dropping piece called We Are Proud to Present… by Jackie Sibblies Drury. This show is not to be missed. Seriously. It’s one of the best plays of the past ten years, and I think all the bigger theaters in town were kind of scared of it (with good reason – it completely terrifies me), so we ended up getting to do the Bay Area Premiere. We’re partnering with Shotgun on it, and it’ll run Feb – March. Also in February, Anne Washburn’s play Mr. Burns is at ACT. It’s sheer genius. Go see it. And Peter Nachtrieb’s got a new show that’s about to open at Z Below, which is sure to be hilarious. 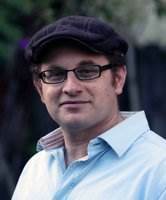 You can find out more about Just Theater’s work on their website, http://www.justtheater.org. 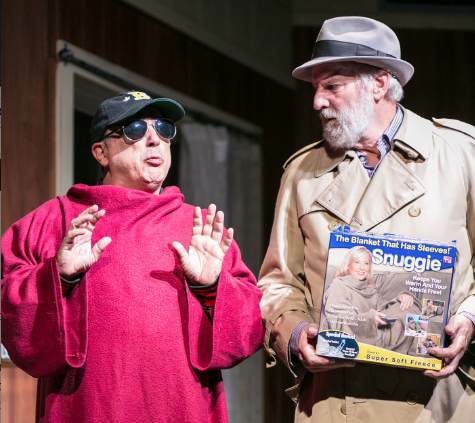 Jonathan’s play, IN FROM THE COLD will be at the Live Oak Theater in Berkeley for two more weekends. Barbara Jwanouskos is a playwright and blogger. She is part of Just Theater’s New Play Lab this season and will be presenting a one-minute play during the 5th Annual One-Minute Play Festival on Dec. 15-16. Follow her on twitter @bjwany.